The introduction of the Carrier Bag Tax in the UK has led to an 85% reduction in single use plastic bags from the big seven supermarket retailers. And that figure is from England alone! It’s been a great success for the environment as it’s dramatically reduced the amount of plastic waste created. It’s also raised millions of pounds which have been donated to environmental charities. Since the introduction of the bag tax, it’s become second nature for consumers to carry reusable shopping bags. Our Custom Cotton Tote Bag is a practical eco-friendly promotional product that will help our customers to avoid the bag tax. It will also give retailers and other businesses an opportunity to promote their brand. It acts just like a walking advertisement that will be seen in the high street, public transport, work places and anywhere else it’s reused. Our printed tote bags are made from natural unbleached cotton, making these bags the perfect eco shopper. Bleaching fabrics uses huge amounts of chemicals, water and energy as well as producing toxic waste which runs into rivers and soil. Unbleached cotton is a much eco-friendlier choice to ensure you create a sustainable Custom Cotton Tote Bag to promote your business. 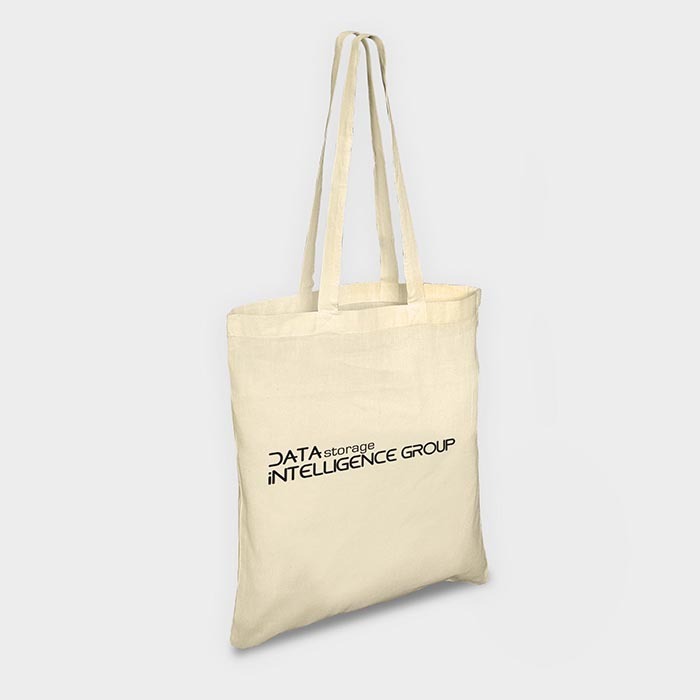 Custom print our Cotton Tote Bags with your logo to help your brand make a big impact. With a low minimum order of just 100 units they are ideal for small business and retailers too. Sell printed cotton tote bags at point of sale to create an extra stream of revenue. Customers can choose a reusable bag instead of a single-use plastic bag. Perfect for fashion boutiques and fashion retailers – giveaway to customers that they spend a certain amount or use as a free gift to help increase brand reach. Custom Tote Bags also be used as an eco-friendly goodie bag for events, trade shows and conferences. Add your website address to help customers find you after the event. 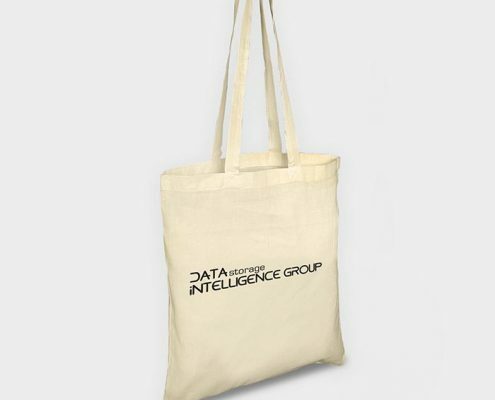 Print your logo across the front of the cotton tote bag for maximum impact. As this product is made from unbleached cotton, we do not dye our cotton bags so all come in a natural shade. Choose from screen or transfer print for your branding.